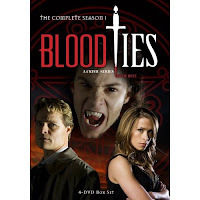 For those unable to catch the series the first time around, Blood Ties is being released June 2 in a 4-DVD set. Based on the "Blood" novels by Tanya Huff the first 13 of 22 episodes will be available with bonus materials. Check out the online Trailer on Eagle Rock Entertainment’s site. Visit the official Blood Ties website for lots of additional information about the series. 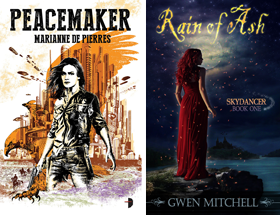 Urban fantasy fans should pick up the books as well. Very good news. This show was underappreciated! I agree Jessica. Great chemistry between the man characters. It might have continued if it had been on a network with more resources. Sigh. I miss this show. I didn't get to see the last two episodes. When are those going to DVD? Thanks for this heads-up on DVD news. Mmm, seems any series I like tends to get short-changed these days. Either that, or I may have minority tastes! :o( . So, has Blood Ties been dropped permanently? I'm also looking forward to the Charlaine Harris' Sookie Stackhouse adaptations. Again, not sure when we'll get that here in the UK. Hi Wend sorry to say that Blood Ties was indeed cancelled after the first season. Except for True Blood vampire shows haven't been faring too well. Amazon says that season one for True Blood is being released May 19th. Lady_tink yeah Vicki and and the guys had great chemistry. Not as big a budget as the US network shows but they made up for it with great stories.